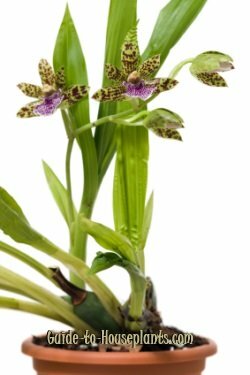 Zygopetalum orchid is treasured for its bold, look-at-me colors and daring patterns. But that's only part of its appeal. Zygo's sweet fragrance and easy culture make it a must-have orchid. Zygopetalums are robust, growing fans of long, lily-like leaves from large pseudobulbs. Deeply ribbed, the leaves are light green and reach nearly 2 ft (60 cm) tall. You can expect a new flush of foliage every year. Most bloom in winter or early spring, filling a room with delightful fragrance. Tall, upright stems hold the flower clusters at the top. Each bloom is spectacular. The petals and sepals flaunt stunning combinations of burgundy, green or violet and a large lip radiates pink or purple lines and spots. Zygos bear a bountiful crop of blooms on upright stems. Shed some light. Bright light is the key to getting Zygos to bloom. Put your orchid where it'll get plenty of light, but out of direct sun. If you don't have a spot near a window, indoor grow lights work beautifully. Use 1 warm white tube and 1 cool white tube under a reflector. Place orchids about 8 inches (20 cm) beneath the light for 14-16 hours a day. It's also important to give them darkness at night. Orchids need a rest, too. Zygos love humidity. If the relative humidity drops below 50%, use a humidity tray or cool room humidifier. Grouping plants also helps to maintain the moisture in the air around them. To repot...or not. Young plants can stay in a smallish pot (6- to 8-inch) for the first couple years. Although they get big, Zygopetalums grow upright and likely won't need repotted until you want to divide the plant. Repot after flowering is over and before new growth begins. 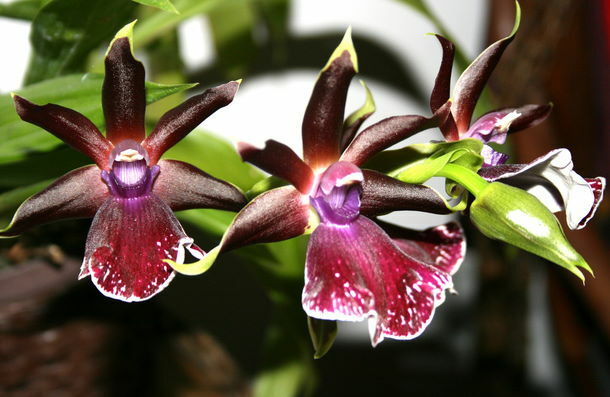 Zygopetalums are among the few terrestrial orchids that grow well indoors, and include about 15 species. Although Zygopetalum orchids are regulars at orchid shows, you won't find them at garden centers. 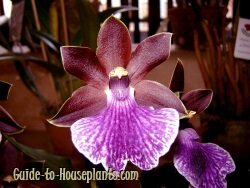 Your best bet is online nurseries that specialize in orchids. You'll likely find them for sale in the winter and early spring, when most of the species and hybrids are in bud or bloom. 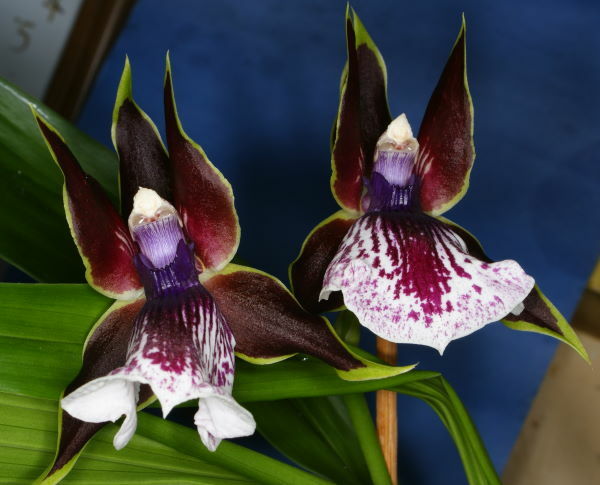 Zygopetalum mackayi (shown below) is one of the easiest-to-please species. Buy a mature plant or you'll have a long wait for the flowers. Water: Water carefully to avoid getting the pseudobulbs and leaves wet. Aim to keep the soil lightly moist during the growing season. Zygopetalums have water-storing pseudobulbs, making them more tolerant of dry medium than wet. Temperature: Give your Zygopetalum orchid slightly cooler nighttime temperatures (60-65°F/16-18°C) and warm (70-75°F/21-24°C) days to get the most blooms. Fertilizer: Feed every 2 weeks with an orchid fertilizer. Propagation: Division. Each division should have 2-4 pseudobulbs attached with roots. The best time to divide is after flowering is over, probably in spring.